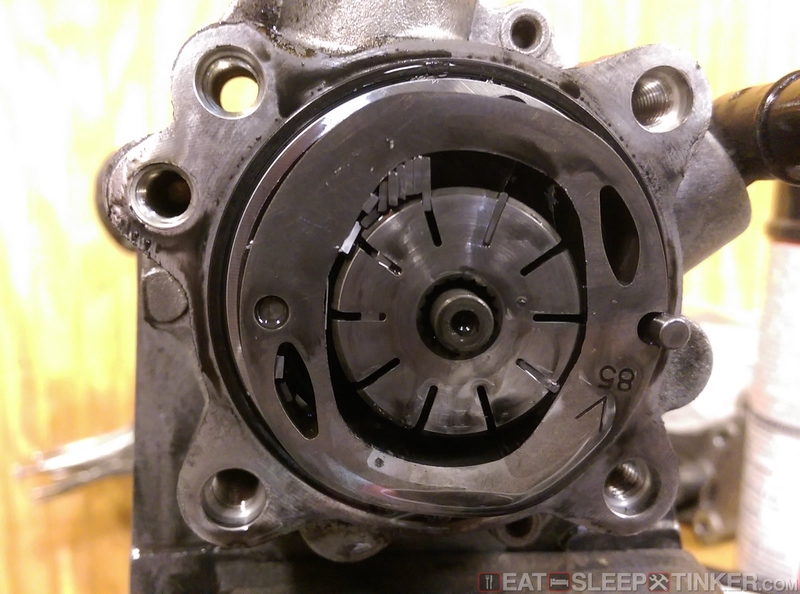 Eat, Sleep, Tinker.Spec E46 First Shakedown - Eat, Sleep, Tinker. Before a race car turns a wheel in anger, it really should be put through its paces in a test or shakedown drive. Since this car isn’t street legal and you could never truly test in on public roads, you need to schedule some track time. Fortunately I’m only an hour away from Carolina Motorsports Park (CMP) in Kershaw, SC. They even have their own track day organizer, Turn One, that has multiple events a month, making it fairly easy to get track time. 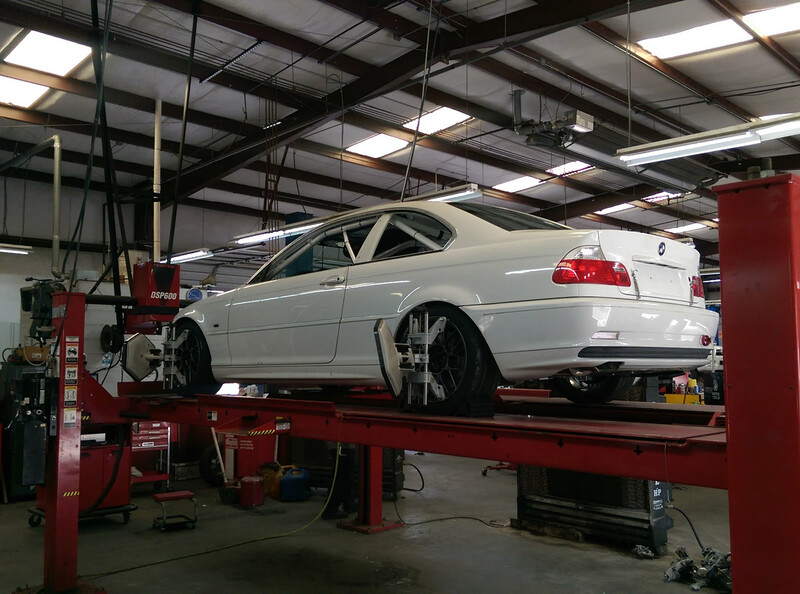 After alignment, I loaded up the car on the trailer and headed for CMP to see how all my work handled. It was a weekday event, so the track was fairly empty, great for some testing and tuning. Just like any track day event, the car went through a short tech inspection. Normally this wouldn’t be necessary on a race car, but I hadn’t received an annual tech inspection yet. The first session was just a an exploratory lap, since I had never driven this track before. The tires were also fresh sticker and we were receiving some light rain, so it was a bit slippery but grip gradually came in. That said, CMP is a very slick track, nowhere near as grippy as NOLA, COTA, or Road Atlanta. It reminded me a lot of Motorsports Ranch Cresson, which is very old pavement and very slick in light rain. Towards the end of my first session I was black flagged, which was odd because I had no off track excursions and there were only 2 other cars on track. I pulled into the pit lane and up to the pit exit marshal who told me several corner stations were hearing a loud metallic screeching sound from my car. He did a quick walk around of the car and noticed a lot of aluminum shavings on the rear left wheel…. great. I pulled the wheel and gave it a good inspection, even called the friendly folks at Phil’s Tire Service to see what they had to say. 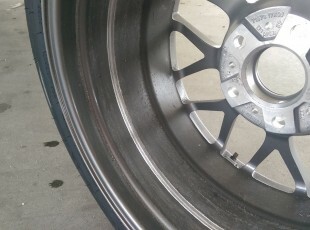 I forwarded them some photos, which they in turn sent on to Apex Wheels. After a close inspection, I determined it was reasonably safe to continue on for the day. I took it a little more carefully, avoiding the curbing as much as I could. The car continued to run well throughout the remaining sessions. Temps were within safe margins and the engine felt decently strong. I knew the alignment could use a bit more dialing in, and a corner balance was definitely in order. It was certainly nice to finally be in a true race car with a proper race seat and harness, making it much less physically demanding to drive the car while also easier to feel what the chassis was doing under me. Then towards the end of the fourth and final session I suddenly lost power steering. It was a sudden stoppage, like I had experience in my E36 when it popped a line at Road Atlanta. I pulled back into the paddock to check what happened. 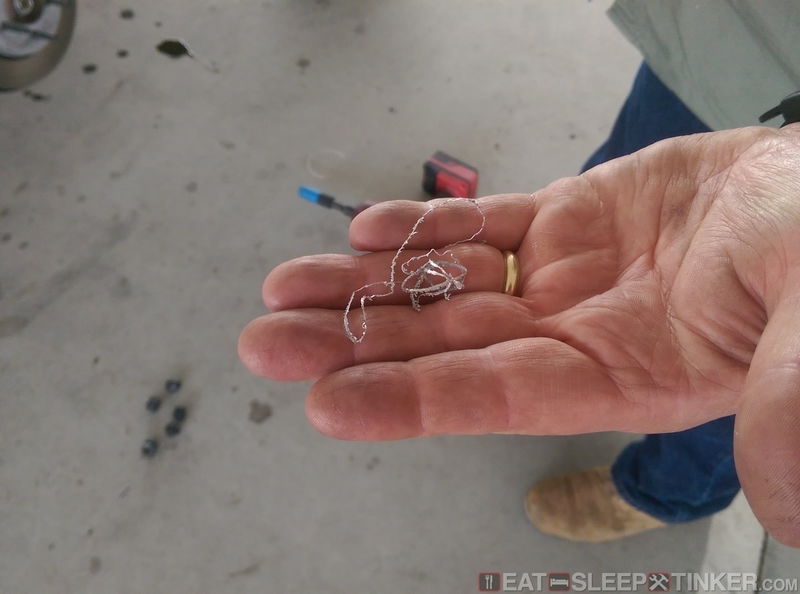 A quick glance under the power steering reservoir cap revealed the telltale signs of a ruined pump, as it was sparkling with a metallic sheen. And so ended my test day. Once back home I pulled the power steering pump to discover the pulley shaft was completely disconnected from the pump and free spinning. No doubt this was a design function, a break-away shaft much like those found on the air turbine starters on jet engines. I further disassembled the pump to discover the vanes which slide in and out of slots where dislodged and had jammed up the pump. 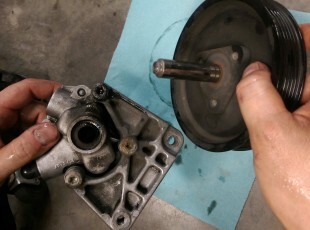 My guess is that this was the original pump and at 220k miles it had just had enough. All in all, not a terrible first run of the car. It showed its weak points, and that is the point of testing after all.